"No matter, the future is great!" Frédéric doesn’t invest—he needs his capital to pursue the winsome and very married Madame Arnoux, with whom he is infatuated. And both for him and Deslauriers personally, and for France, the future is very much not great. The young men are failures at love and power, respectively, and France, instead of reclaiming the grand scale of 1789, gets its parody in 1848 and the subsequent dictatorship of Louis Napoleon—events that inspired Marx’s famous spin on Hegel, that history repeats itself "the first time as tragedy, the second time as farce." Flaubert’s novel, a new translation of which was released this month by the Oxford University Press, makes for uncomfortable reading in the late spring of 2016. It’s not just that American politics have become unexceptional and European, with the rise of a socialist alternative on the left, blood-and-soil populism on the right, and an unheroic, complacent establishment trying to preserve the center. It’s that so much of what Flaubert dramatizes about 1848 seems relevant to our own day—not least the uneasy relationship between Parisian elites and the country’s working classes. When King Louis-Philippe is overthrown in the uprising of February 1848, the bourgeoisie, the intellectuals, the workers, and even members of the National Guard largely fight against the government together. But by the summer, it becomes increasingly clear that while the intellectuals and the middle classes had been revolting over theoretical questions, like the extent of the franchise and the need for a new constitution, the workers were mostly fighting because they wanted everyone else’s stuff. This factor becoming generally recognized and feared, when the Parisian workers rise again in June they are brutally suppressed, and when Louis Napoleon seizes power and puts his coup to a national plebiscite not long thereafter, the people, now preferring nationalism and security to equality and redistribution, decisively ratify his imperial claim. There is an echo of this fickleness when you hear—with what I suppose should be unsurprising frequency—people say that they are undecided between Sanders and Trump. If this analysis sounds rather hard on "the people," take comfort in the fact that Flaubert despises the elites, too. 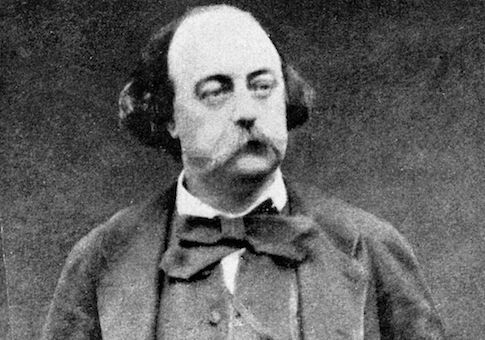 As the bourgeoisie were the sort that Flaubert knew best, that’s where he spends most of his narrative time—and, with few exceptions, his characters are famously unsympathetic. The treatments are so harsh that some find Sentimental Education difficult to love, and no less a critic than Henry James complained that the book suffers from "a general emptiness, with a kind of leak in its stored sadness, moreover, by which its moral dignity escapes—thus it is that Flaubert’s ill-starred novel is a curiosity for a literary museum." This is too harsh, though it is easy to see James’ point. Flaubert’s "hero" Frédéric is, at best, remarkably self-absorbed, passive, and ineffectual, a squanderer of golden opportunities, and someone who takes rather more than he gives to the world. Meaningfully entangled with four women—the aforementioned Arnoux, along with a courtesan, a country girl, and a wealthy society lady—he is weak when it would be kinder to be firm, and has the capacity to be unspeakably cruel, as when he abandons the mother of his illegitimate child on the night of the boy’s death, on an errand to forestall the departure from Paris of the woman he believes he truly loves. Chasing women, typically awkwardly, is Frédéric’s main pastime. He spends the February uprising sulking over one woman standing him up; he is out of Paris entirely for the violence of June, enjoying an extended dirty weekend with another. Flaubert’s other characters, including the women, are little better and in a few cases much, much worse. They all indulge in habitual self-mythologizing and deception, acting on selfish impulse and rationalizing according to convenient principles after the fact. The only two characters who have some purchase on anything approaching decency—the virtuous Madame Arnoux and the kind-hearted republican Dussardier—do not end up rewarded by anything like happiness. And yet. To work oneself into high moral dudgeon over the general awfulness of these people is to miss Flaubert’s point. Aside from the fact that there is obviously a substantial dose of Gustave Flaubert in the character of Frédéric (the infatuation with an older married woman; the overbearing mother; the provincial roots; and other points which I won’t spoil) it is rather arrogant for readers to quite so easily condemn a character whose every thought has been provided to us as a transcript, and who cannot, as it were, step out of his own novel and take a moment to consider the situation. Be honest: How well would you come off with your every thought available to the world? With a narrator clearly singling out moments for significance that you, the living, miss because you are dealing with the chaos of unmediated reality? Who among us wouldn’t seem self-absorbed, at best? Who wouldn’t look like a fool? Flaubert’s letters show that he intended his novel as a sort of moral history of his generation—which came of age in the 1840s—tracing the parallels between personal and political disillusionment, and showing how for young men like Frédéric and for France as a whole disaster came about because of self-deception, ill-considered romanticism, and poorly examined opinions. Even those who find him dark cannot but concede the breadth of his vision and the artistry of his execution—though it is only natural to finish the novel wishing for some sort of positive program or proposal to cleanse the palate after such a bitter analysis. But Flaubert’s very excellence introduces a counterargument to his gruesomeness. His characters are all done in by their inability to be honest, to examine received opinions and their own motivations—in short, by their incapacity for wisdom. Flaubert’s vision is so comprehensive that it is possible to conclude he believes such wisdom is impossible for humans. But of course Flaubert was no mediocrity but an artist of the first rank, and there is something philosophic in the way he so unsentimentally displays his characters’ true inner lives, as coldly as an entomologist spears his samples on needles in a case. There is something deliberately scientific to the realism of Flaubert’s method, and its effect is so arresting that one is left both repulsed by the insects he has produced for our examination and attracted to their complexity, to the opportunity to see them up close, still, wings splayed, revealed for what they really are. In addition to the moments of aestheticism Flaubert occasionally gives himself over to, there is a kind of hard beauty even to the treatment of these characters. Most importantly, Flaubert’s achievement suggests the possibility, at least for a few, of wisdom, self-knowledge, and sympathy. Qualities we could sure use.